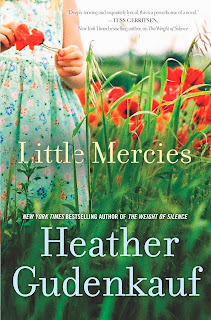 This post is sponsored by Harlequin in support of the release of Little Mercies by Heather Gudenkauf. If you're looking for a great summer read, Little Mercies fits the bill. It's available in stores now! It's summer. It's hot. It's time to read! Summer is the perfect time to really dig into your TBR pile for many reasons. While conventional wisdom may say that winter is the time to snuggle up with a book (and it sure is!) summer should not be discounted as an equally excellent time to read. I want to share you some reasons why summer=perfect reading weather and give you a few tips for sneaking in some extra reading! Summer is the perfect time to escape. I think we most often associate summer with vacation and a change of pace. But sometimes we can't always take physical vacations or get away like we'd like to. The good news is that books are always available to take us away. And I don't just mean reading books set in exotic locations or faraway places though that's certainly a great idea! But I also think that books have the ability to give us relief from our everyday lives simply by immersing us into another story. So even if you can't take the vacation you want to take this year, you can still have the experience of escape through reading! You can choose a book set in a different location, a book that's lighthearted and funny, or a book that examines human relationships and social issues and still come up with the same result. Reading can provide a great form of escape. Summer provides a lot of opportunity to read! While it may seem that summer is busier with vacations, camps, weddings, and other social events and gatherings, summer actually provides quite a few opportunities to read. Choose to bring a book with you to the pool, sit outside with a great read on a cool summer evening, make sure you keep your ereader or a paperback with you in your purse to pull out during those down times when you're out and about. (It's also helpful to download Kindle or other apps to your phone if your battery can withstand the use!) Out at a baseball game? There's always a lot of downtime to squeeze in some reading. Going to the beach? Why not plan a little time to read while you're there? Schools often encourage summer reading programs and many local libraries and bookstores will have special programs in place for your kids to read. Why not join in with them? For most us, we love to read and making reading a family activity can make it all the more special. Some of my favorite memories from childhood are joining in the library's summer reading programs...I always met the goals with flying colors and enjoyed participating the rewards that netted for me. I think joining in with your kids as they participate in these programs is a great excuse to read more. If you don't have kids of your own (I don't!) why not see if nieces are nephews are doing any programs or even volunteer to go with them to the library to pick out books? Or think about starting a book club with other people you know or casually suggest a joint reading venture with friends. Reading things together is always so much fun! Catch up on the TBR pile! It's summer and you deserve a treat. You should pick up a book you've been wanting to read or select one of the many new treasures available on shelves now. Bonus Fun Question: Where is your favorite place to read during the summer? 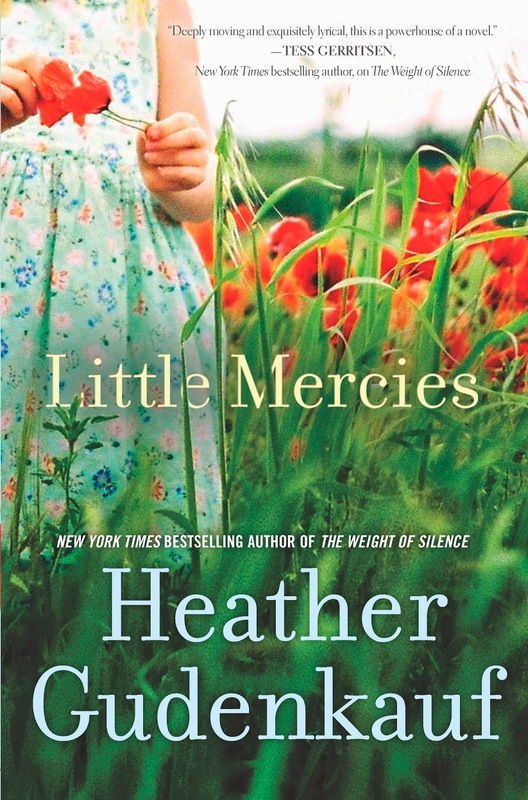 Little Mercies is a great book to kick off your summer reading with. You might even want to consider it as a book for your book club and you can find book club information available here. You can also visit Heather Gudenkauf's official website and check out her Twitter profile and Facebook page for more information. This post was sponsored by Harlequin but all opinions are my own.